Note: Please do excuse the grammar and punctuations; there were left unedited deliberately to maintain the originality of the flow of words. With lots of gratitude to the sadhak to helped transcribe this. The Guru’s compassion and Grace is always the same for every follower, irrespective of the seeker’s distance, level of consciousness, whether known or unknown to the Guru that is seen or unseen by the Guru. How much each receives depends upon how much one wants to receive. The most distant unseen sadhak can receive what even the closest of seen sadhak can’t receive. 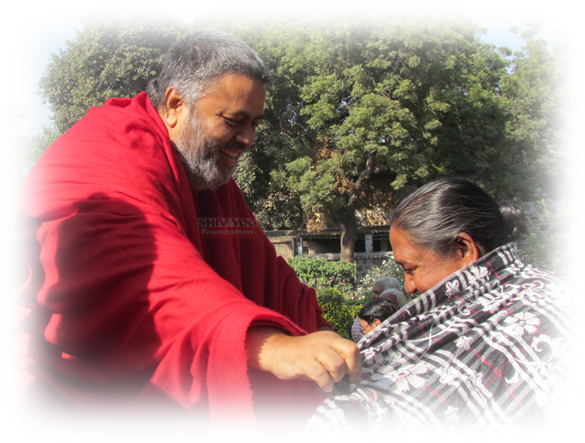 That’s how powerful the seeker’s bhaav can be …… or pure intentions. And that’s how powerful the Guru’s love and compassion is for all equally. Babaji often refers to the example of the Sun, of being totally unconditionally, supplying energy and light to the whole cosmos. It shares it's light to everyone in the whole vicinity, whether animal or human, whether earth or plant. It does not differentiate anything at all. All it knows is to give light. Similar is Babaji’s love for all. The love that He radiates in Shivirs, in the presence of people and even in their absence, when he is with people and when he is without, he stands like the ever shining Sun, spreading his rays out with no intentions of receiving anything back. For he has made this possible for Himself to become like the Sun. For he has made this as His soul agenda - to bring compassion and love and healing to everything, everyone, without any discrimination, any differentiation. Without just being available for man, or anything or any race or any sect in particular. He is just available to even the plants and the animals. Everything that comes in his vicinity is showered and blessed by the Grace; the grace that he sends out, the grace that flows out of him unconditionally, selflessly, with no mission or or definite purpose.. it is just a light that comes out of Him and goes to everything. Now, while the Sun shines, it is possible in every way that there can still be darkness. The shadows that are seen is the darkness, for the places that light cannot reach is darkness. For the hidden areas of every object under the Sun is in darkness. This is what Babaji calls as choice. The choice that each one makes whether to be in the light or not. Guru is light; Guru breaks the ignorance of darkness. He brings light. This is His nature. This is His very purpose of existence and Babaji does this all the time. He is transmuting that energy, that unconditional love, just out into the creation, not to any particular person, any society, any country, religion, or even any species. This is just out to the creation. Anything and everything running in the automatic mode, in the most natural mode, is sure to receive this energy. So do plants, so do animals, so do so many species receive this energy, love and healing apart from man himself. The entire cosmos is affected by the grace of such Divine Beings. Everybody receives it, if one's channels are open. Opening of channels happen with choice, with willingness, with eagerness. To pour into oneself the divine energies this willingness needs a little more nudge, of perseverance and consistency. For longlasting effects, this willingness and receptivity has to be maintained with freewill. If this comes naturally great, if not, are the tools presented by Gurus. Babaji presents with such tools of sadhana, seva and sankirtan which are powerful tools to increase this receptivity. For ones that find natural receptivity challenging, more use of such tools must be practiced in daily life. However, man, though is the most intelligent animal on planet Earth, fortunately or unfortunately, is the only species that has been blessed with choice. That is why liberation is a choice. When the level of consciousness reaches that stage where one is ready to liberate from birth and death, one is bestowed with human life, where one is given this great opportunity to choose and get out of the loop of the thousands of lives one goes through without choice - in so many forms of life. Choice affects mankind in both ways. Man can choose to absorb 100% of what Divine gives, through nature, through the Guru. Man can also live otherwise, without choice, choosing hundred of ways, consciously or unconsciously, of not wanting to receive. This choice is dominated by one’s own karma. Blessed are those who have a Guru. Blessed are those who have been initiated by a Guru. For it is even given in the ancient scriptures, that only when the Divine smiles kindly at someone, is when one receives the Grace of the Guru, is when one finds a Guru, or rather the Guru finds the person. This is the most auspicious celebrating time, in the evolution of the person’s entire long journey of lifetimes. It is a moment to rejoice, because finally one is close to ending the loop of birth and death. Because finally after thousands of births, in thousands in various dimensions, in thousands of planets, in thousands of species, finally one has has evoleved to a stage where one’s own good merits of multiple lifetimes have accumulated to the point where one is now ready to let a Master come into their lives. The Master is designated, designed tool by the Divine. As explained by various scriptures and Masters, that God, Guru and the self are one. The time comes when the external Guru comes into one's life only to provoke and guide one to the inner Guru, the divinity that resides within. All in the form of Guru - the one that is designated to bring this transformation to man at the right time and at the right place, in the right lifetime. So, blessed is the one who has been blessed with a Guru. The Guru begins his work instantaneously, the moment He initiates any disciple. Whether seen or unseen, magical and mysterious are His ways of allowing man to receive this energy of love, compassion and healing. Now, the choice that Man makes plays an important role during this transition period. 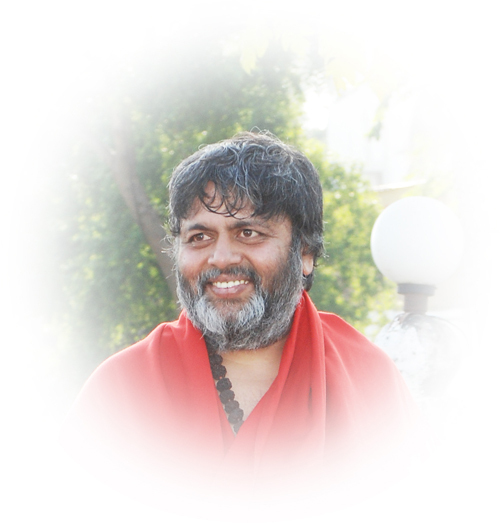 A man does not carry just the merits of multiple lifetimes which actually brought him to a Guru, but also carries the demerits of multiple lifetimes, for it is a balance of duality that man carries even when man enters into the special phase where he can now make choices to get out of the birth cycle. Hence, there will also be tests for man from various aspects of his own karma, that now starts playing a great role in either bringing lessons, life lessons to the persons in multiple ways, all in various forms of the play of the consciousness. Whatever it may be, it is the seeker’s utmost desire of what he really wishes, that he wants. Man has the automatic switch, rather Man has the switch of “on and off” in his own hands, whether to “On” in his reception to the Guru’s grace and energy, love and healing or, to remain in the “Off” mode, and not be able to receive this grace from the Guru. Whatever the situation, whatever the time, the Guru shines like the Sun, to one and all in the creation. It just depends on whether one is in the “On” mode or in the “Off” mode. As mentioned before, with both these options, one can receive or not receive. It is simple, if you want to receive; you make a choice, a deliberate conscious choice that you want to receive. And when one makes a choice that one wants to receive, one remains open and receptive. One surrenders it all to the Guru. And in this mode does one receive completely from the Guru. The “Off” mode is again the choice of the seeker. The Guru never plays with the switch. The Guru knows just one thing, give it out. The Guru is like the cell phone transmitters. The Guru transmits the signals, the waves, the radiations, the vibrations out into the world. The seeker is the cell phone. It depends highly and what kind of cell phone you are. Karma makes different kinds of cell phones. Karmic influences are your cell operators and depending on that one has various call plans. There also one chooses the best plan for oneself. Also, does one choose whether one wants to do multiple things or just put the phone in the silent mode with only incoming calls activated. It also depends on which areas have strong and weak signals to be receptive to the transmitter. When the signals are weak, it still is one's choice whether one wants to move to an area where the signals are better. All the conditions in which the cell phone is, the plans, the geographic location, the mode it is in, etc, are all karmic influences of life. Situations are different but the choice entirely depends on the cell user to be receptive. The cell operators can woo one to buy difference plans but the one that makes the choice is - YOU. Similarly, all Gurus have different modalities and ways to demonstrate to man, to inspire, to awaken.... but what one choices remains one's own right. Babaji is a Master, who demonstrates practically with His own life in so many ways what He preaches, in so many modalities, just for that one reason - that one may align one's life. Align with divinity, align with one's true purpose finally to get one thing - to get each back to where one came from - the Infinite, the Light, the Nothingness. Babaji has made His journey complete but then chose with His freewill to become the light Himself to show this path to others also. This freewill came out of His choice - remaining liberated, that is the ultimate goal of human life or to turn around and open His arms to those dearly seeking this path, who need a mediator between themselves and their goal (God). And, His freewill came from just one thing - Compassion! We owe for every single step we take under His love and guidance, we owe to the compassion of the Guru! What a wonderful article, such great depth of understanding and explanation of the importance of our own choice to receive the GRACE of Guru...which is flowing freely and indiscriminately. And once again a reminder..beware, our own Karma's may pose hurdles between us opening up to the Grace, or the Karmic timing may be right for us to be drawn to the Guru like iron does to a powerful magnet. May we all be at that lucky point in the Karmic cycle of our lives and drink every drop of the nectar of our Babaji's Grace. Namah Shivaya !! Beautifully expressed. Had tears in my eyes reading a few lines of this post! Feel so blessed to have found this path and opportunity to align my life with divinity. May we all keep our switched "On"!! !